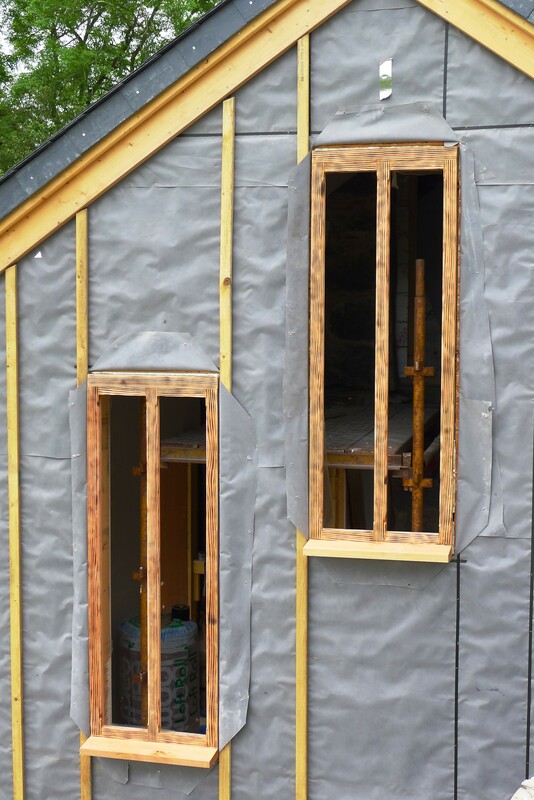 Yet more windows, this time for the barn extension. They’re large, allowing light to flood into the cottage and give views of farmland to the east. 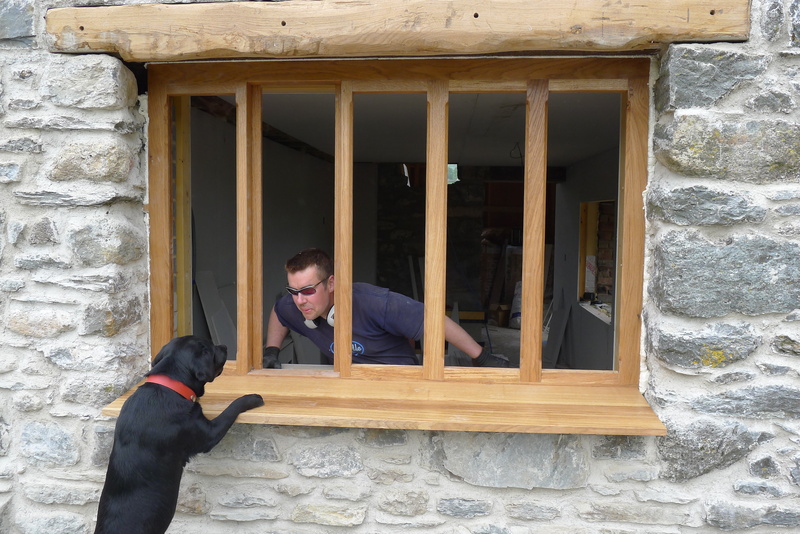 The frames are made from burnt Welsh larch. The burning brings out the sap, making the timber weatherproof. It also creates a rather striking pattern in the wood. 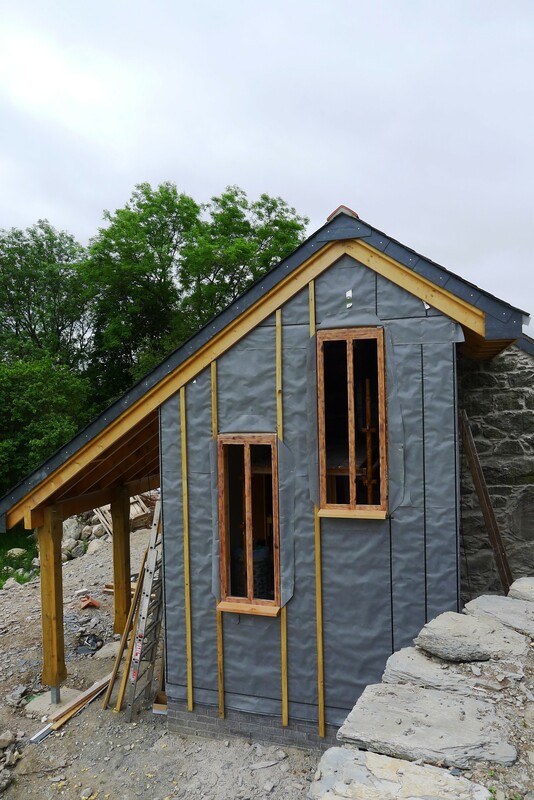 The extension will be clad in Welsh larch to contrast with the stone of the rest of the cottage . We’re mixing old and new quite a lot in these conversions. It is part of our desire to create characterful buildings that reflect our eclectic and eccentric tastes. The windows, well most of them, are in. Made by Catchweasel from locally sourced oak, with a little help from Jac. Bendigedig. Blog posts have been a little infrequent recently. We’ve been busy doing other things. Here are a few images of what we have been up to over the last few weeks….. The weather has been better so we’ve also been riding our bikes more. It’s important to get one’s priorities right. Our first guests arrive at the end of July. This is exciting news. We’d like more so if you or anyone you know would like to stay with us this summer, let us know by completing a booking form here.